Celebrity news reveals that Miranda Lambert still has some things to say in regards to her celebrity ex Blake Shelton. According to UsMagazine.com, during the opening night of her Livin’ Like Hippies tour, Lambert deliberately changed the lyrics in her song “Little Red Wagon” from “I live in Oklahoma” to “I got the hell out of Oklahoma”. We can infer that she did this because Oklahoma was where Lambert lived with her celebrity ex Shelton. Lambert is now in a celebrity relationship with musician Anderson East. Luckily, they seem to be happy with each other. 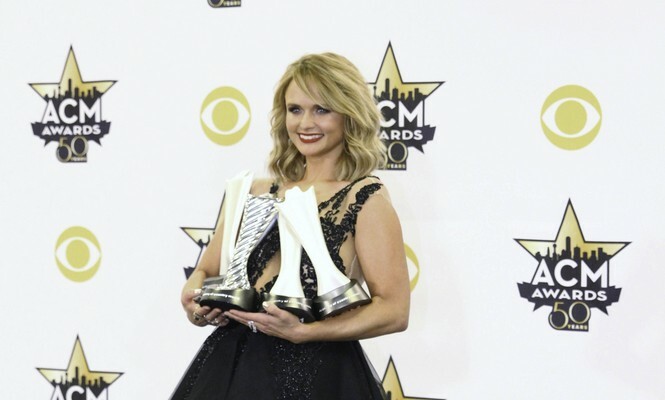 In this celebrity news, Miranda Lambert is moving on, even in her lyrics. What are some steps you can take to move on from your ex? 1. Cut off contact: First and foremost, make sure that you have cut off all contact from your ex. Delete their number so you don’t have the urge to text them. Don’t spend time longingly stalking their Instagram page. It makes it so much harder to get over your ex if you’re still in contact with them, because the whole point of trying to get over them means you are trying to get them out of your mind. 2. Make peace: Accept what happened. Truly accept it. Even if the relationship ended badly, try to be happy about the good experiences that you got from it. Be thankful that you had this time with this person. Then, accept that this chapter of your life is over and there are more amazing pages to turn in your book that will surprise you with further happiness and love. 3. Love yourself more: The perfect time to better yourself is when you are going through a break-up. Realize that you are amazing and begin to enjoy the time that you get to spend with yourself. Self-forgiveness is also very important to embrace during the time of a break-up. Relationships help us to uncover aspects of ourselves that we may not have shown before. Take time to examine some great personal achievements from this time. Maybe you got past your trust issues, or maybe you fell in love for the first time. Praise yourself for the accomplishments you made and don’t forget to love yourself more than you ever loved your ex. Have more tips on how to move on from an ex? Comment below!